Thought that you had your plans written in stone for your family’s summer vacation this year, then you are in for a treat. Walt Disney World Resort was already magical and fantastic. 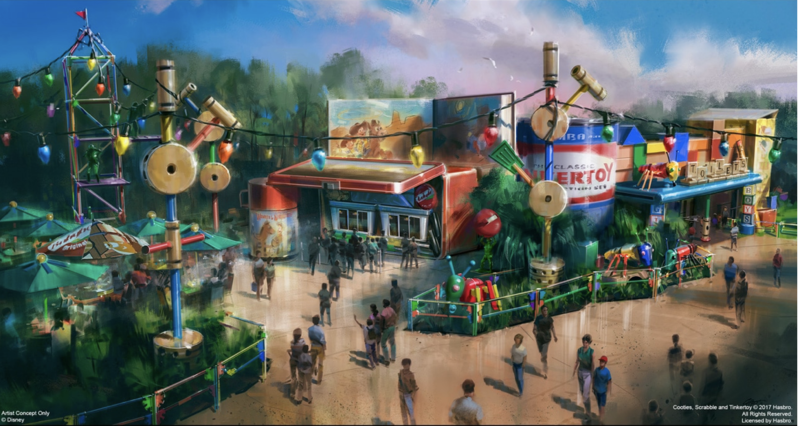 If you haven’t heard all the buzz Toy Story Land will be opening on June 30th, 2018. To Infinity and Beyond, my son had that phrase on repeat. By the time my son was the age of six, he was the proud owner of thirty different types of Buzz Lightyears. He was absolutely obsessed with every Toy Story movie created. I can easily say that I must have watched each Toy Story movie at least fifty times. There was a Toy Story obsession in my home and there was nothing that can change it. 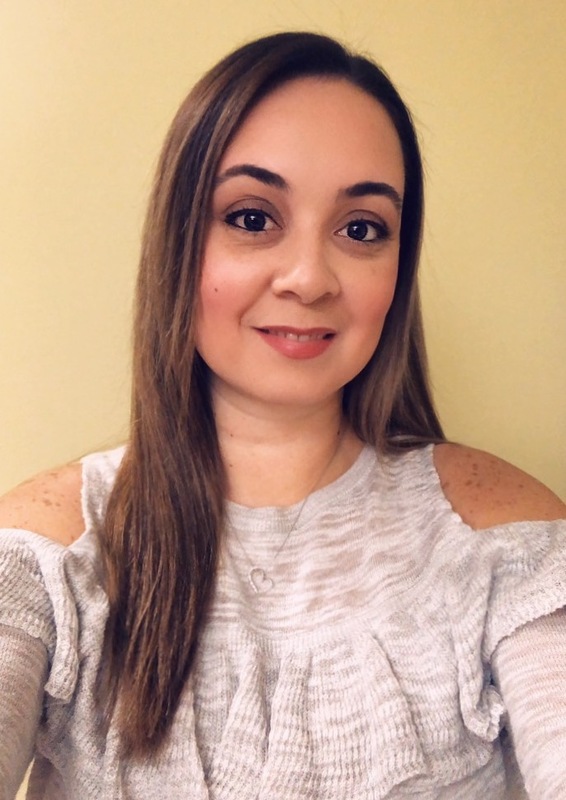 I had the honor of attending DisneySMMC this year. That not only started the conference week with an amazing welcome dinner that even included my family. The icing on the cake was that Pixar Animation Studios was sponsoring the welcome. 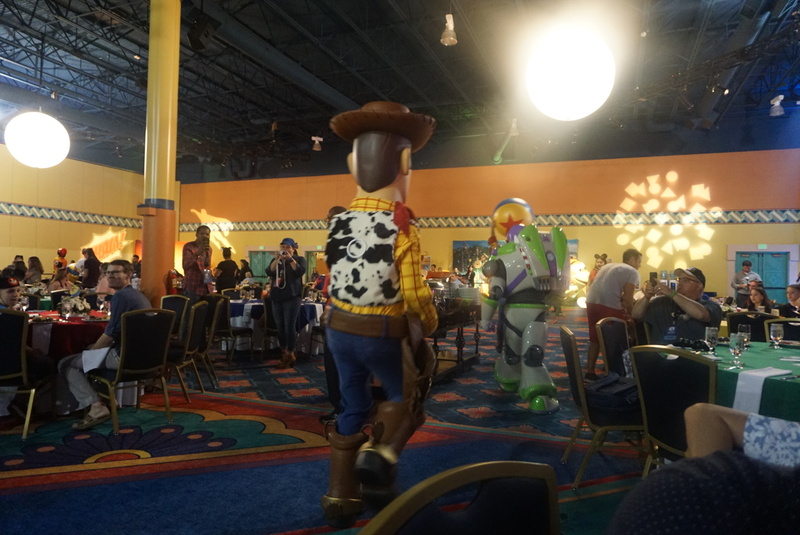 The dinner turned into a party highlighting all the character favorites. One classic movie and character that caught my son’s attention was Buzz Lightyear. 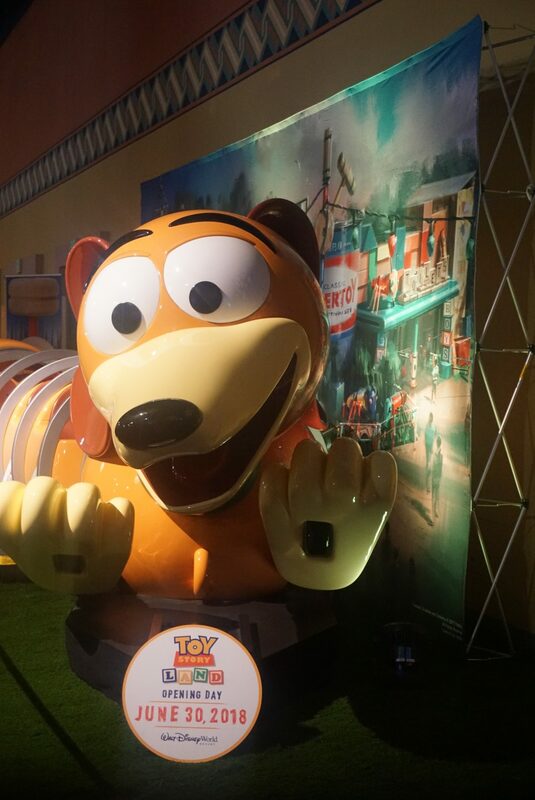 The official Toy Story Land announcement was officially announced and the excitement began. It seems that after all these years that have gone by still at the age of 12, good old Buzz Lightyear, Rex, Andy, Slinky Dog, and Sheriff Woody all tug tears of joy in his heart. He could not contain his excitement as he starred at the official Slinky Dog ride that was on display. 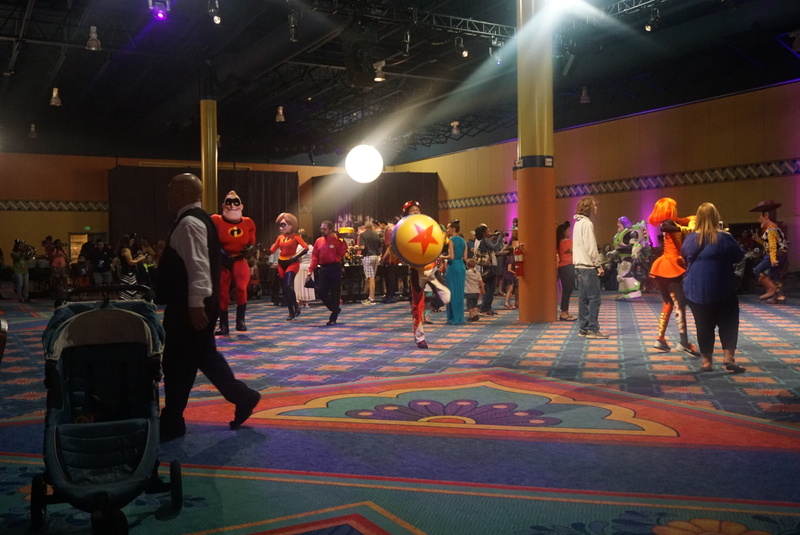 Throughout the whole week, I must have heard different forms of requests, let’s make a deal moments which just ended with the simple request that he needed to be at the official Grand Opening of Toy Story Land or at least visit this summer. 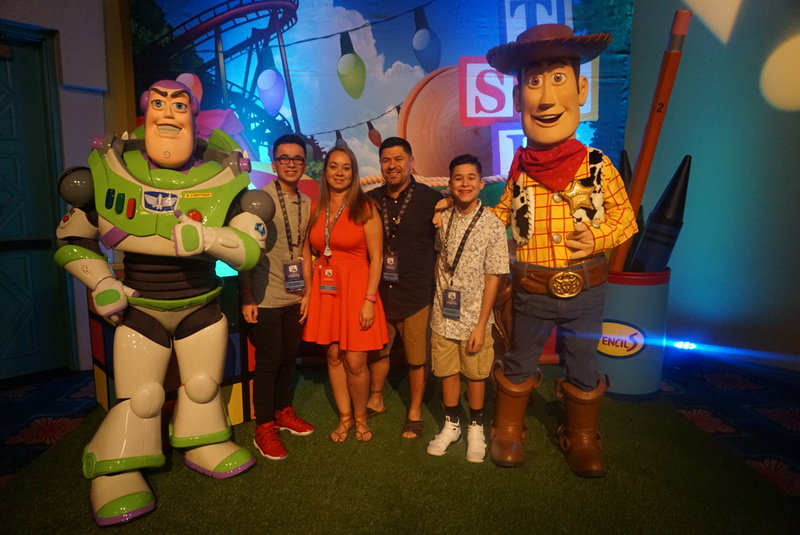 Just picture walking into the life-size version of Andy’s backyard as you walk through the world of infinity and beyond that will transport you through oversized toys like building blocks, plastic buckets, and shovels, making you feel like you were shrunk to the size of Woody and Buzz. 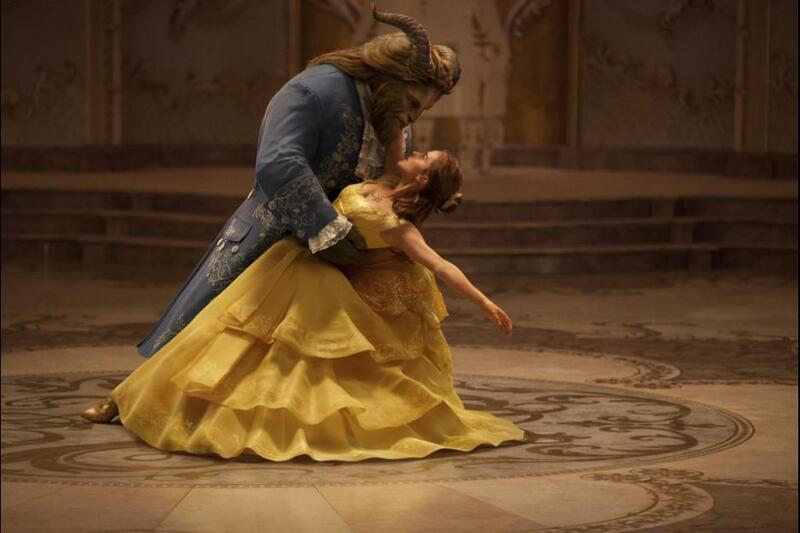 Get ready to “Play Big” at Disney’s Hollywood Studios with three amazing rides. 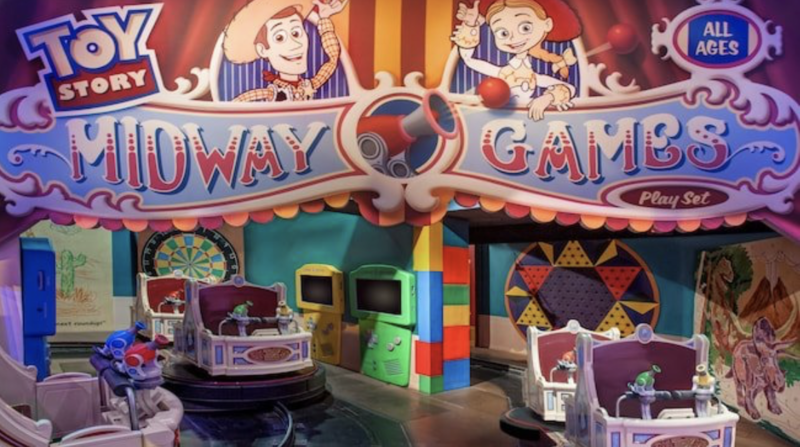 Toy Story Mania: This carnival themed ride has to be one of my favorites already. 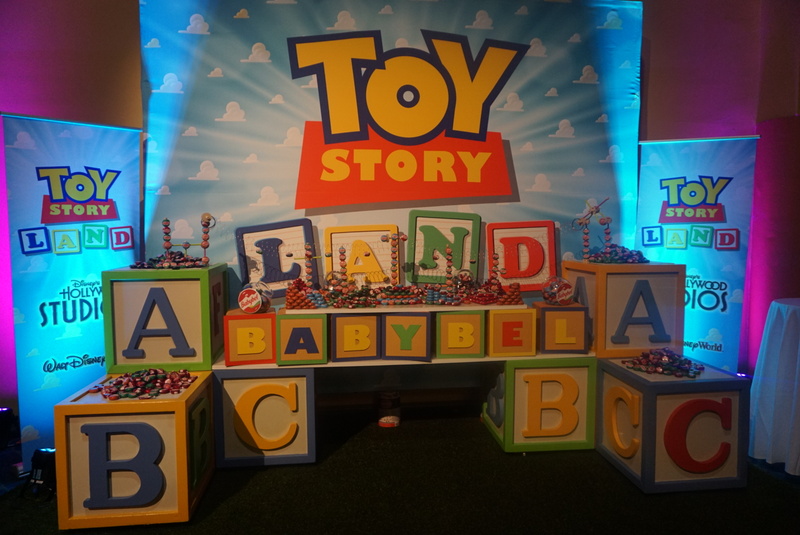 I recently had the opportunity to visit Disney’s Hollywood Studios during DisneySMMC week. To my amazement, this attraction was open for guests to enjoy. This fun fast paced ride is perfect for all ages. You will instantly feel the excitement as you travel through Andy’s toy room. You will be riding in an Andy designed cart with fun interactive targets for you to take an aim at. As you ride through the interactive game you will compete against your partner while shooting at different targets to see who has the best target numbers. 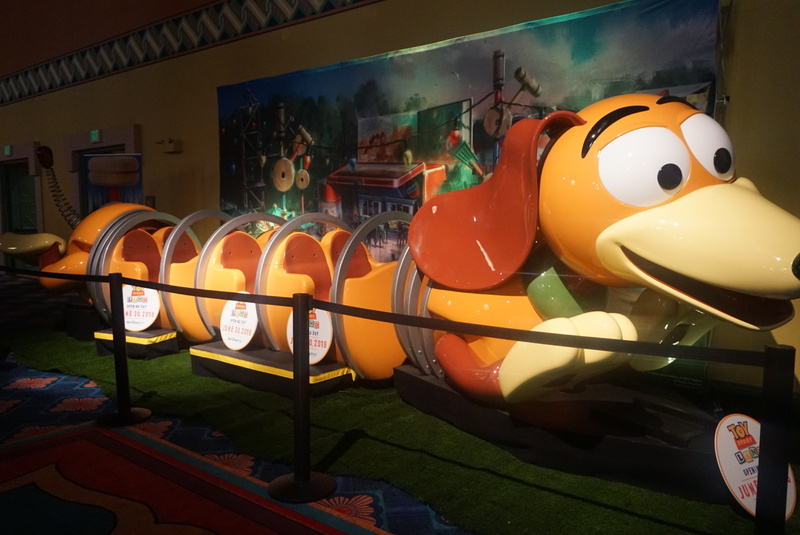 Slinky Dog Dash: A thrilling ride filled with twists and turns full of tons of fun for the whole family. You may want to keep your eyes open as you zip around in this ride you will have exclusive views of Toy Story Land from way above. 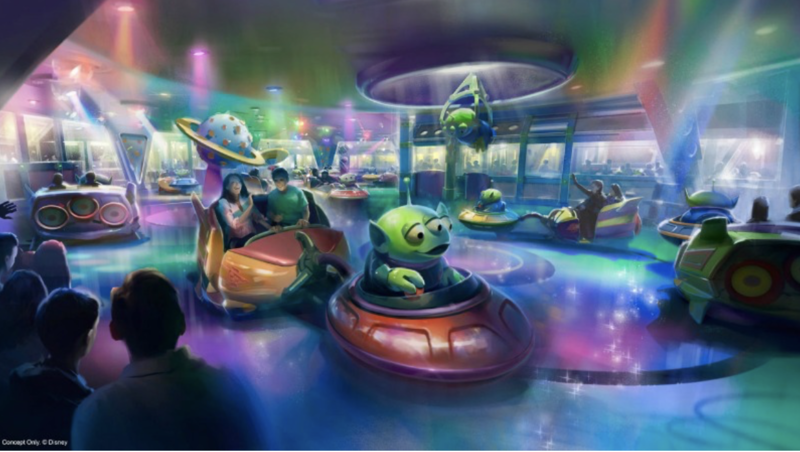 Alien Swirling Saucers: will be a hit for everyone in your family. The attraction is designed to take you on a swirling adventure as you climb into a toy rocket that will zip you through a galactic adventure filled with tunes and incredible light effects. You might be the lucky rocket that gets chosen by the claws that hang from the top of the attraction. Woody’s Lunch Box: Imagine sitting inside Andy’s thermos created lunch box sitting down and enjoying a meal or a quick snack. This is just days away from happening as you enjoy this spot surrounded by green Army men and Andy to watch over you as you take a break from the attractions. 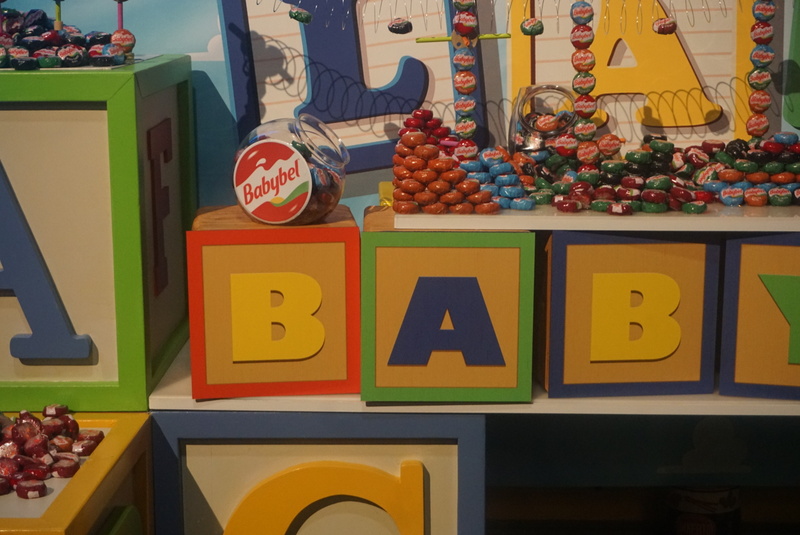 To top it off, they will be serving Disney’s official snack cheese family favorite Mini Babybel, Toy Story themed specialties and old fashion soda floats. 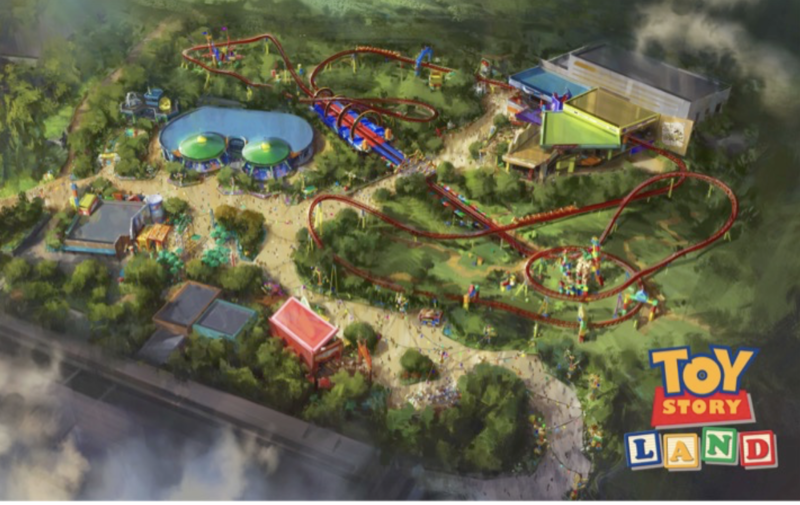 Looking forward to seeing Disney’s Toy Story Land come to life, counting down the days to our official visit! Save the date June 30, 2018!